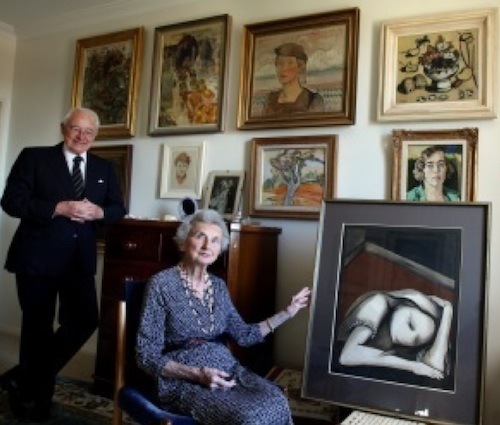 With sadness we report that Lady Sheila Cruthers, a passionate art collector and wife of Sir James Cruthers, who established Channel Seven in Perth, died on Friday 30 December 2011, aged 86. She provided vital support to Sir James, who she met in 1945 just before he started work at The West Australian as a journalist at the Perth Daily News, after his war service in the RAAF. Lady Cruthers, who was born in 1925 as the ninth child of Italian immigrants Giovanni and Camilla Della Vedova, was the dux of her primary school and later worked as a secretary. Lady Sheila was especially interested in twentieth-century art by Australian women, and in 1974 began collecting canvases by Australian women artists from the 1890s to the present. The collection, valued at between $4 million and $5 million, comprised more than 400 works by 155 Australian female artists including major works by leading artists such as Grace Cossington Smith, Margaret Preston, Joy Hester, Grace Crowley and Clarice Beckett. Contemporary artists featured include Rosalie Gascoigne, Susan Norrie, Narelle Jubelin, Tracey Moffatt and Julie Dowling. Their son John said the apartment in New York had been a home away from home for many struggling artists. “There were a lot of people who, when they got to New York their first port of call was Sheila Cruthers because she would show you around and give you a bed if you were hard up,” he said. “She often provided frequent flyer miles for artists to fly home for Christmas.” She started a group called Aust Art to raise money to buy Australian works to give to American museums. “They were called ‘Sheila’s sheilas’,” Mr Cruthers said. The Cruthers Collection of Women’s Art was donated to the University of WA in 2007. This was gifted to the Lawrence Wilson Art Gallery by Sir James and Lady Sheila Cruthers. The gallery is located on the UWA campus. On this occasion, Sir James made a toast: ‘Good on ya, Sheila’, as Sir James spoke about this amazing collection which began in 1974 when “Sheila saw The Girl in the Corner by Joy Hester and just had to have it”. According to Sir James “the collection just went on and on and on”. Son John, said his family wanted to ensure the collection would be housed and cared for correctly. The Cruthers family had a strong connection with UWA over several decades – not only with Sir James and Lady Cruthers, but also their son John and daughter Sue who studied at UWA. Both Lady Sheila and her husband Sir James supported the National Gallery of Australia and the US National Portrait Gallery. The Cruthers family have established the Cruthers Art Foundation to maintain the collection, purchase new works and support women’s art through scholarships, with The Cruthers Collection of Women’s Art at The University of Western Australia, being her enduring legacy. I have been working on Sir James’s biography for over 2 years now with the original help of John and Sue Cruthers in establishing Sir James’s archive at the State Library of Western Australia and the Battye Library. Sir James left a treasure-mine of information about his life and his work as a strategic media manager here and overseas. Indeed, Sir James wrote major, book equivalent, stories on key aspects of his career, from setting up newspapers, creating and managing TVW7 and of course his work with Rupert Murdoch establishing Sky. Not least there are many famous controversies and characters in this personal history. 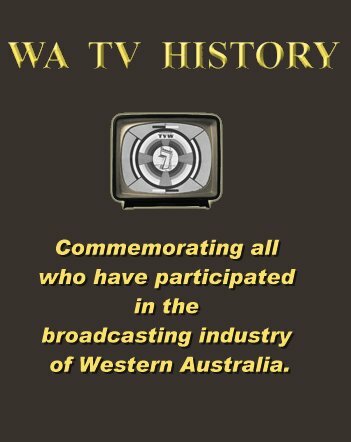 I have spending much of my time typing up as part of Sir James’s biography and history of media in Western Australia these stories. What has emerged is the close relationship of Sir James and his wife Lady Sheila, both as a couple and as joint-sounding boards. Both also had a passionate interest in giving back to society and a philanthropy that has directly benefited Western Australia. SAGITTARIUS (Nov 23 – Dec 21) You are about to make a big departure from something you have become familiar with, or else it is about to make a big departure from you. This could be one of the best changes in your life, or one of the worst. It depends how sensible you are. 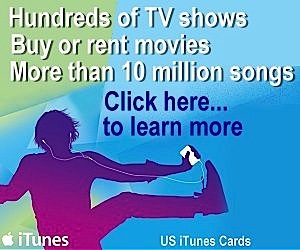 (News American Publishing Inc). Sir James resigned only from the Sky work with Murdoch, not from Rupert altogether of course. However, Lady Sheila ‘read the wind’ perfectly. Lady Sheila, like Sir James, is one of the great West Australians and a team to be envied. Daughter of Giovanni and Camilla Della Vedova, loving and devoted wife to Jim, mother of John and Sue, grandmother of Sam and Theodore. Passed away Friday 30 December 2011. A complex and driven woman, Sheila overcame difficult early years to create a loving family and a wide circle of friends. As the wife and life partner of Jim, one of Western Australia’s leading post war businessmen, she flourished in Perth and later New York. Her dedication to women artists created the Cruthers Collection of Women’s Art at The University of Western Australia, which is her enduring legacy. We will miss her unconditional love for her family, her quick wit and her tremendous life force. In memory of a dear Aunt with whom I shared so much fun. Sympathy to Uncle Jim, John and Susan. A life lived to the full. Love Kaye. Loved sister of Wally (dec) and aunt to Rodney and Kathy. Deepest sympathy to Uncle Jim, John and Sue. A sorely missed spirit in the Australian – and particularly West Australian – artworld. Amazing achievements and keen collecting skills, yet never too busy to allow proud access to the family home to share the fascination of some truly remarkable artworks. Thanks to you, and to Sir James, for such generosity. 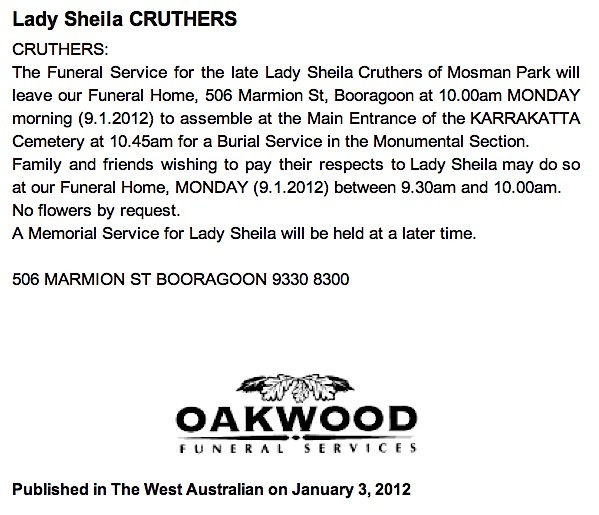 Deepest sympathy to the family of Lady Sheila Cruthers. Lady Cruthers will be remembered as a generous dedicated member of our community. The Cruthers Collection of Women’s Art at UWA is her lasting legacy within the University that will inspire for generations. Sincerest condolences to Jim, John and Susie on the passing of a very individual lady. Ken, just read with interest the above article. I am Sir James’ neice – (nee Cruthers). My father was Frank Cruthers – Jim’s brother. I note that you are working on a bio of Sir James. I have two photo albums that belonged to Jim’s father James William Cruthers, plus a lot more of my grandfather’s stuff – you may find a photo of interest amongst this lot. Plus I have done some family history research which may be of interest to you as well. Feel free to contact me if you feel any of this would be of interest/use.